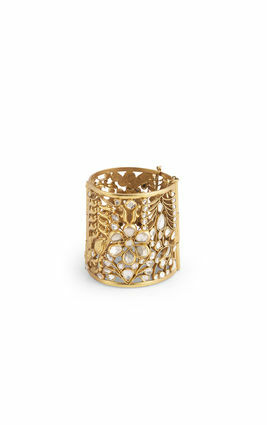 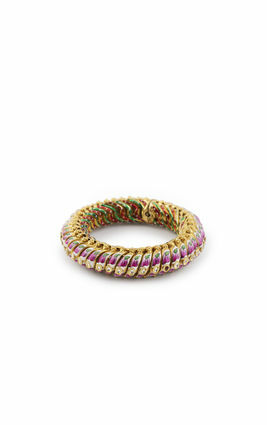 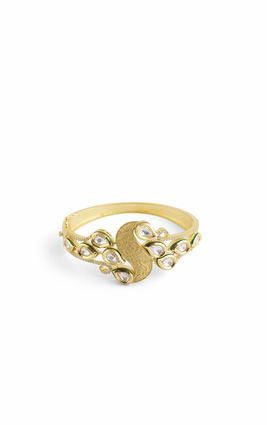 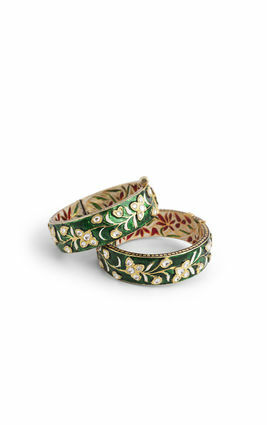 A pink and white bougainvilea branch basking in the August sun describes this broad gold plated bangle most fittingly. 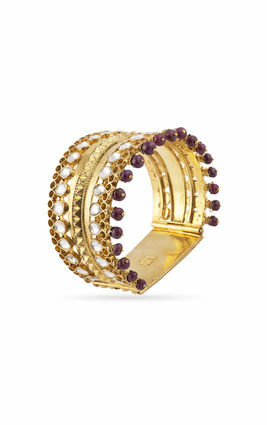 Studded with reflective white zirconia, and elegant deep pink marquise cut stones, this bangle is ideal for days when you want to bring out your royal side. 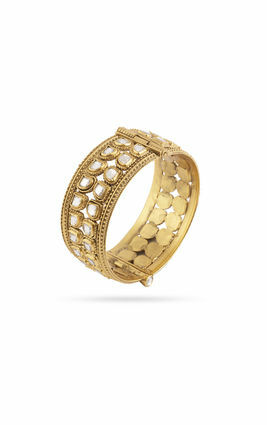 A pink and white bougainvilea branch basking in the August sun describes this broad gold plated bangle most fittingly. 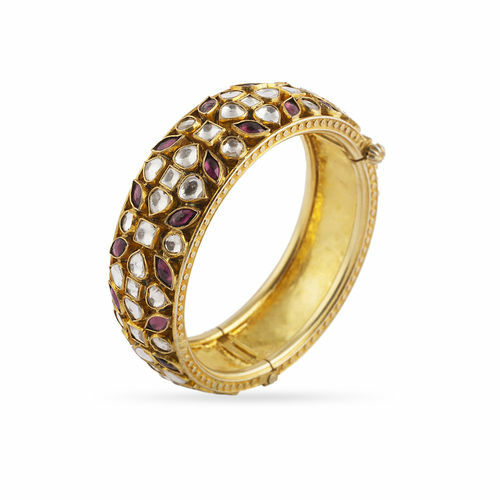 Studded with reflective white zirconia, and elegant deep pink marquise cut stones, this bangle is ideal for days when you want to bring out your royal side.